KRZYBoop's Used Tank Emporium: Starter Pack is a Big Deal. Did you just start Tanking yesterday? Do you like Deals of a lifetime? Then check out this deal! PZ. 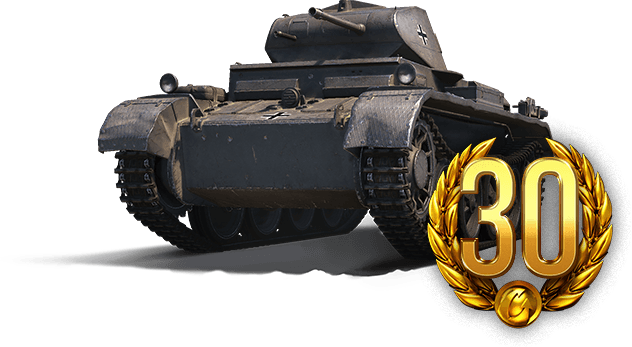 II D tier 2 light tank with 30 days of Premium for only 12.59. Click on the picture above for more information about this sale. There is also a hidden message about 3OCT18. There is also a hidden message about 3OCT18. This is the kind of marketing fun I can get behind. EDIT: all I see is the part where it says "Hint: Tune in Wednesday, Oct. 3, for a new offer"
Edited by pickpocket293, Oct 02 2018 - 18:15. Edited by YANKEE137, Oct 02 2018 - 20:23. Alright, this is something I can absolutely get behind. If you're selling tank bundles, especially for tanks that (let's be honest) aren't so great, this is the way to do it. A large pizza from the local pizza place down here costs more, and I'll get a month of premium time for it, plus a little junker tank to squirrel around in with my friends when we play tier 2. Didn't think twice about it, good deal. You'd think they'd offer a better tank. In fact, practically *any* tank at tier II. Sure, the T7 combat car has been power-creeped to death but if you want to convince someone that the game is fun, it's a LOT better than handing them a tier II that can have no effect on a few heavily armored tanks at its tier. The problem with this as a starter bundle is that if you're actually buying it as one, you don't know enough to sell the tank and keep the slot. If you're new enough to actually use this as a starter bundle, you don't know enough to never, ever, actually play it.